UK manufacturing activity fell in July according to recent figures. Manufacturing production fell by 0.8 percent in July. Analysts had expected a small rise of 0.2 percent on the month, so the release had a negative impact on sterling. 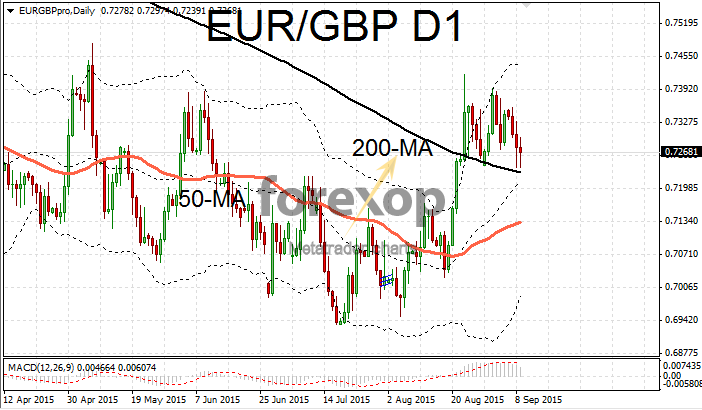 The strong rally in GBP/USD, which was already looking over-extended, started to wane on the news. Cable was trading just under the 1.54 area for much of the day. Attempts to break above the 1.54 level were met with strong selling. Cable is likely to see support at 1.5307 and resistance is expected around 1.5527. Again traders will be taking their cues from next week’s Federal Reserve meeting – notwithstanding and further events in China. EUR/GBP pushed downwards for the fourth day in a row as the pound outperforms the single currency. 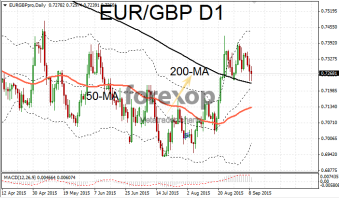 EUR/GBP was consolidating around the 0.72 area after the euro’s brief rally failed to carry any higher. Against the yen sterling performed better pushing GBP/JPY to 185.26. The yen continues to weaken as investors divert funds towards higher yielding (more risky) assets. Commodity currencies managed to hold onto recent gains. AUD/USD scraped back above the 0.70 level managing to put a floor under the punishing losses suffered over the past few weeks. On the four-hourly chart AUD/USD has been trading bearishly beneath the 50-point moving average since mid-August. Today’s move held the pair above that support level. The “Aussie” was stronger despite some disappointing news from the property sector. Traders however focused on the fact that China’s equity markets rallied for a second day on Wednesday. This came after the Chinese premier spoke at the World Economic Forum and gave assurances that authorities will do what it takes to stabilize the country’s financial system. Finance officials also announced a set of stimulus measures with spending on infrastructure and tax reform.